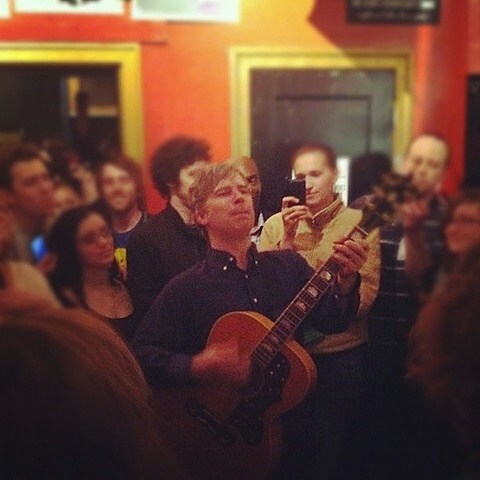 Last night (Monday, April 2), Nada Surf toured through Chicago with Australia’s An Horse (who played Saki on Sunday), making a stop at Metro. Check out the setlist from each band at the bottom of this post. Stay tuned for a full set of pictures and a review. After the show, NS frontman Matthew Caws jumped into the Metro store with an acoustic guitar to play “Blizzard of ’77.” Footage of his solo performance can also be found below….